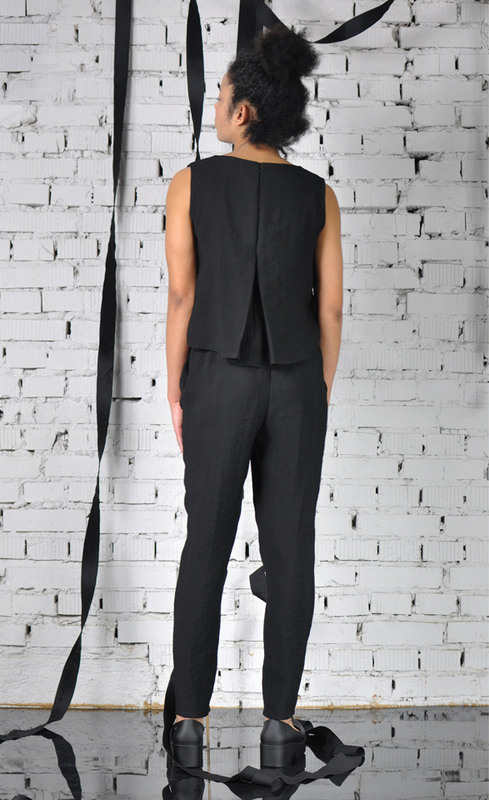 Elegant cupro jumpsuit is NAH NU's proposal. Interesting shape of the suit thanks to the backhand. The ORIGAMI suit in black has a narrow leg. Perfect for the night.